CGR tester Dave Sarkar tests the new 5 star, soft shell vest from über company adidas. This men’s adidas Terrex Hybrid Soft Shell Vest features GORE WINDSTOPPER® ACTIVE SHELL in a hybrid construction to keep you moving fast and remaining comfortably protected from the elements. This vest is lightweight and easy to pack. In 2012 we reviewed the adidas Terrex Hybrid Softshell Jacket, since then adidas have continued to add to the Terrex range and a look through the site will confirm their commitment to a dedicated outdoor range. With such huge resources behind the brand it’s only a matter of time before we start seeing as much of it in the UK as you do over on the European mainland. 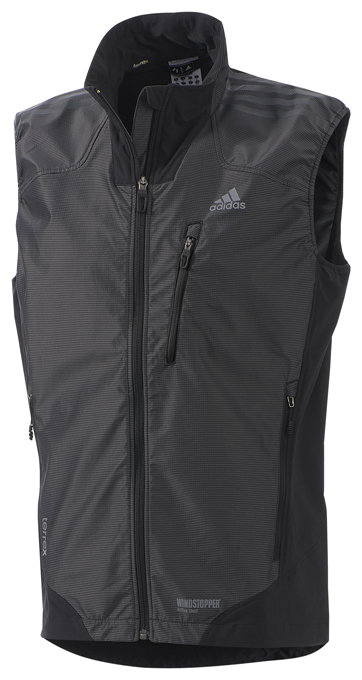 the adidas hybrid soft shell vest had great freedom of movement for climbing in. Wind and Wuthering, Malham Cove. What has impressed me in all the Terrex kit I have reviewed in the 2013 Spring range are the clean lines, quality workmanship and use of well performing materials in the clothing; adidas are clearly determined to give all the main outdoor brands a run for their money. The Terrex Hybrid Soft Shell Vest (or Gillet if you’re country folk) is a sleeveless Windstopper vest that has proved to be a very handy piece of kit. The entire front of the vest is made from Gore-Tex Windstopper Active Shell. This is a lightweight, three layer Windstopper with a light laminated layer on the inside – this helps with wicking and keeps dirt from clogging up the membrane (which affects the breathability of the material) and a carbon fibre style material on the outer which gave it a nice gunmetal finish. The Windstopper was continued onto the shoulder area, the back of the collar and an insert under the armpit down the ribs. It was great on those breezy days. Clogwyn y Grochan, N.Wales. This had the effect of providing a good windshield where I most needed it, at the front of my body. The rest of the vest was made from adidas’s own soft shell material: a thin and stretchy material that felt similar to Polartec Powershield. This was extremely breathable, quick drying and very light. 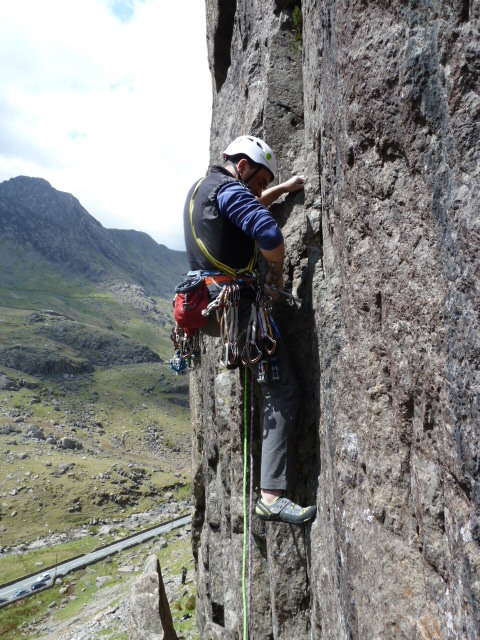 The cut was adidas Formation and was great for all the mountain activities I tested it in, there was little rise when under a harness and the vest felt brilliant for climbing in. The sleeves are elasticated and at first I thought it might have been a problem as it could be a little tight under the armpits. I haven’t found that though and it has helped keep some of the warmth in neither has it affected the climbing performance. The zips were all YKK coil with the main one having a good, solid zip pull that was easy to use with gloves on. The draft guard was Windstopper with a Formotion backing. There is a small breast pocket on the left that was handy for phones, cameras, energy bars, etc. It was not big enough for maps or guidebooks though, this also had a solid zip pull that was great to use. The vest also had two handwarmer pockets that were styled into the side seams of the vest. These were easy to use and were large enough for gloves, hats, etc. Again the pockets were not large enough for a full OS map but I did find that I could put a map or guidebook in the inside of the jacket on the right hand pocket. With a little bartacking and reinforcement this would be ideal. The pockets had restricted access with a harness on, but then it’s not specifically designed for just climbing in. The hem has one handed cinches which were easy to use with the micro toggles and also had a press stud closure. The collar had a nice, comfortable brushed liner that wicked sweat very quickly. The soft shell material was very quick to dry, after arriving at the crag and taking off my pack the jacket dried off in about 15 minutes. There was a reflective adidas logo above the breast pocket and further reflective Windstopper and Terrex logos near the waist. The adidas three stripes branding was on the shoulder, I really liked the style although it’s not the sort of vest I will be using for indoor training/lectures or casually as it looks too technical, but outdoors it looks great. 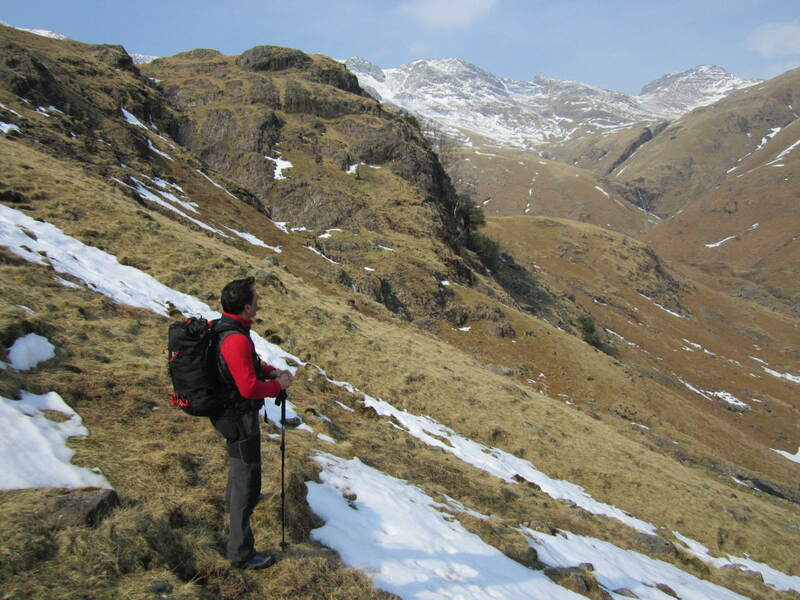 The vest felt very light and compressible – the trusty CGR scales weighed it in at a mere 250g. It packed down to nothing in the pack. I have no reservations in awarding the adidas Hybrid Softshell Vest 5 stars, it has been the most versatile piece of clothing I have worn this season. 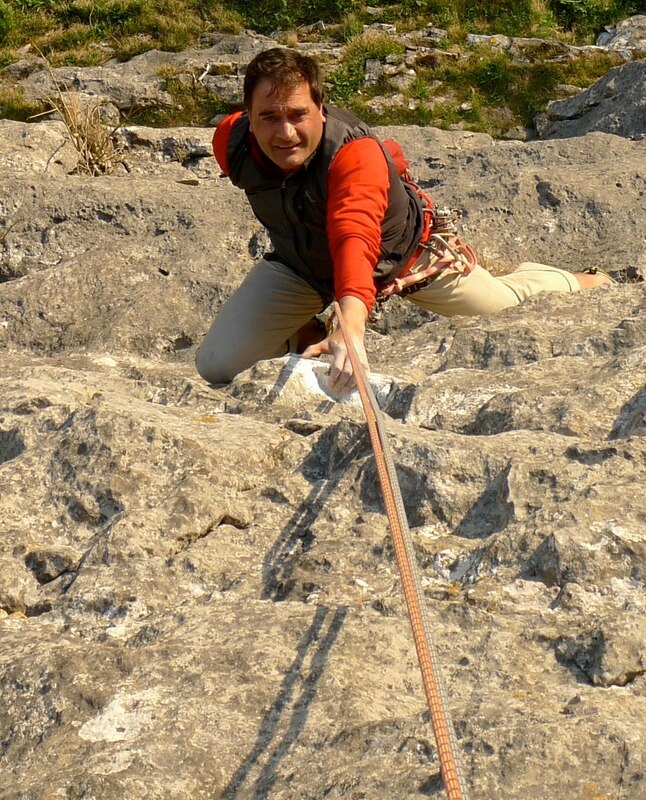 I have used it for everything: winter climbing, trad, sport climbing, bouldering, running and hiking and it has performed really well in all those activities, if I mountain biked I would use it for that as well! It was particularly good for winter approach and felt great under a full softshell or hardshell as an extra layer. The jacket compressed well but to be honest once I had it on I tended to keep it on all day, so although it might feel a little expensive for a vest it is extremely versatile and you will find yourself wearing it all the time; definitely Editors Choice for Spring 2013.